Lily's WILDEVE - check out this unique music! Two online reviews of the the debut album: Musical Discoveries (online magazine from USA) und DURP (German rock & pop & prog music mag)! Both are in English. our If you like to receive newsletter, please send us an e-Mail! hard WILDEVE is the synonym for original and timeless songs. 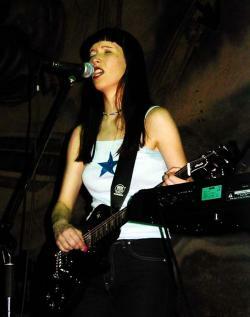 Lead singer and songwriter Lili is also multi-instrumentalist (electric and acoustic guitars, keyboards, piano, violin). The strength of the band is the excellent songwriting and the arrangement of their songs. This power sound of WILDEVE's music – influenced by many genres such as rock, folk and alternative – grabs the listener. This stuff is far away from boring mainstream, nevertheless it's melodious, soft, hard. The music is characterised by atmospheric density, the chorus lines never get out of your ears. Lead singer Lili got an impressive versatile voice. But WILDEVE can also be seen on stage since 1996 and convince the audience – just see the live critiques! WILDEVE played with The Coalminers' Beat, Yeti Girls, Die Happy, Kinderzimmer Productions, Dead Poets, Jule Neigel Band, Werner Danneman, etc. 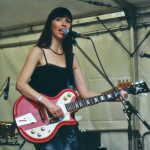 The band played at festivals with headliners such as H-Blockx, Farmer Boys or Madonna HipHop Massaker. 2010 to present: mp3 digital downloads worldwide. 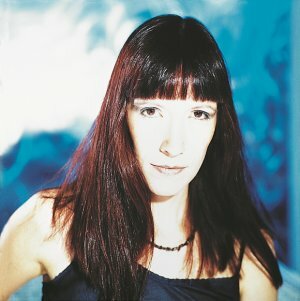 Lili continues to write and record songs with Hayo Well from 2003 - 2006, mastering in 2007, artwork and design from 2007-2008, new album out in late 2008. 28.01.2004 Production and mix of the brandnew songs, done at Jowa Studios, are finished. The first reactions are very promising. Involved in this recording were Rüdiger Prokosch on drums, Juergen Beck on bass, and on guitars Oliver Buck. And Lili threw in some guitar parts as well. So now the new album is complete. 08.09.2003 After vacation and summer break the last parts for Lili's new songs ("Dream of My Life" and "A Single Day"). We are all anxious to hear the great results! from the memorable "Halle" concert are to follow! 23.12.2002 Following the positive feedback of last year, WILDEVE is again invited to the traditional Christmas concert in Sindelfingen. More than 1000 people are expected. 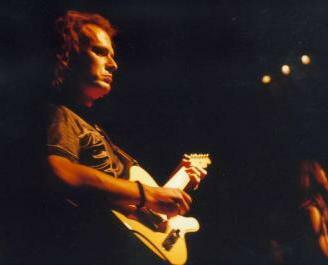 25.10.2002 New live pics from the gigs at Goeppingen and Aalen. Here you can see a few of them. 24.09.2002 The review about Aalen (in German) Open Air "Reichstädter Tage"! 26.05.2002 Two press reviews about the recent two gigs (in German, translations will follow)!>>NWZ and Concertnews (report by Thomas Feldmann). 24.03.2002Review: Full house for WILDEVE at the "Rainbow" in Horb. The cult club was absolutely crammed with people! Also the traditional British double-decker bus as backstage facility lent the whole event some kind of Woodstock mood. Thanks also to support Green Leaf! 12.03.2002 Hot News... It was already seething in the underground for some time – now it came true: A great rhythm section complements WILDEVE: drummer J. P. Stables and bass player Bob Kachler. Check also the "band" page! 26.02.2002 On Monday, a very good press review was published. The German text is here. a scan and a translation will follow. 20.02.2002News!! Soon the new studio album will be released. It'll be a special "limited edition", probably with 13 tracks. 18.01.2002 Lili in full colour on the frontpage of the newspaper "Boeblinger Zeitung"! Gosh, even though the paper guys forgot to put a name to the photo! But next time... Here's the scan. 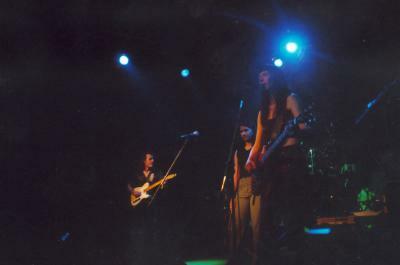 31.12.2001 Thomas Feldmann produced a nice photo report of the LKA Longhorn gig in July on his Concertnews.de pages, just have a look at them – featuring also many international alternative/metal/grunge etc. bands! (in German). You can see a small choice here. 31.12.2001 Recently, three new songs came into being: "Dream of My Life", "Flying High" and "A Quite New Feeling". Because these songs were real crackers on the stage, so the band will at least record two of them in January. And because so many people asked for a new album at concerts: YES, there will definitely be a new album in this year 2002! 27.12.2001 Review: A extraordinary end of 2001s live gigs and the short four dates "Christmas Tour 2001" was the show at the Sindelfinger venue "Klosterseehalle" with more than 1000 people & other bands. 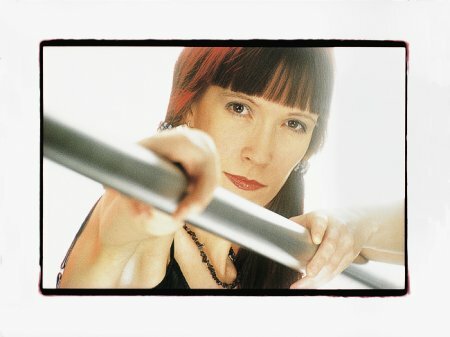 Comment of the booker regarding WILDEVE's gig: "Super!" The other clubs were also crammed with people, as in the "Why Not" and in the "Touch". or Gekko. 5800 copies of the CD are distributed to schools, youth clubs and other youth facilities. 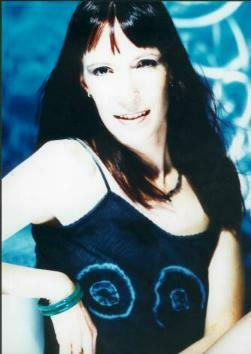 17.11.2001 New background singer with WILDEVE: Tanja Eble, coming from Esslingen, joins the band. 14.10.2001 The first semi-unplugged gig with the new line-up worked out fine. The enthusiastic audience called for four encores!! 12.09.2001 Attention!! Because of the horrible terror attacks in New York and Washington the entire city festival of Goeppingen, and therefore also our gig, was cancelled! Booker says, gig will be repeated next year. New bassist Ralf Baumann joins the band (ex-Schoenfeld). Optimized for a resolution of 1024*768dpi, 16,7 million colours. With IE problems can occur. Online since July 1998. Translation, compilation and design by Markus Schurr © 1998-2002, all rights reserved. Scans of logo, CD covers and new photos of Lili kindly produced and provided by Matz & Zapp (Die Signer GmbH/Wernau-Neckar)! Astro pics for guestbook and sound page: © by NSSDC/NASA, W. Couch (University of South Wales) & R. Ellis (Cambridge University); web space and RealAudio files for sound provided by www.cityinfonetz.de. Special thanks to Wolfgang Pfeiffer & "cityinfonetz", Tübingen. COPYRIGHT of these pages, contents and pictures1998--2002 by WILDEVE & Markus Schurr, unless noted. All rights reserved.